The psalmist encourages us to worship God with music. How wonderful it is to do so! Musicians add a great deal to the worship service. 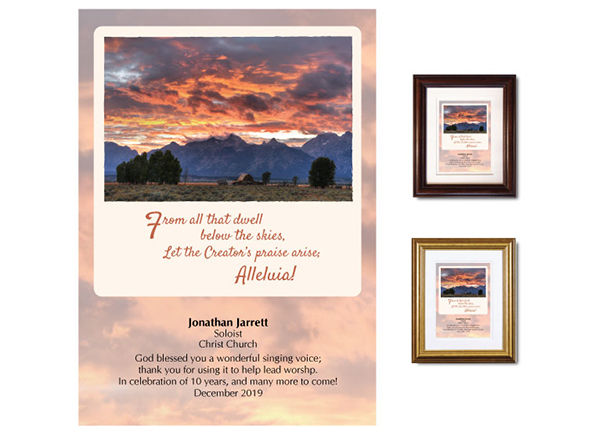 If you’re looking to convey thanks for dedicated service, I invite you to browse our collection of personalized appreciation plaques.